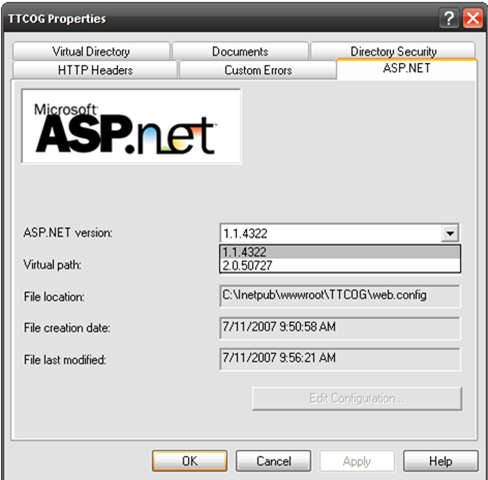 Due to the simplicity of the XCOPY deployment strategy in ASP.NET you can easily set your self up for dumb mistakes. It took me a good 15 minutes (a little embarrassing) to realize what my deployment issue was below. Parser Error Message: Unrecognized attribute 'xmlns'. It screamed at me in the red line (and the version information) but I could not quite see it ... then I realized when you manually create a virtual directory for your project it defaults to version 1.1. This was my first official 2.0 deploy so I can be excused for this oversight.